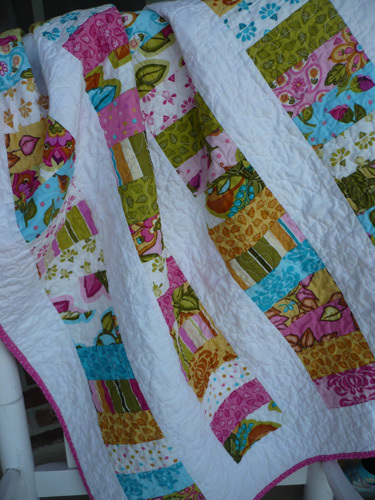 Here’s Summer Soiree all finished and fresh out of the dryer. 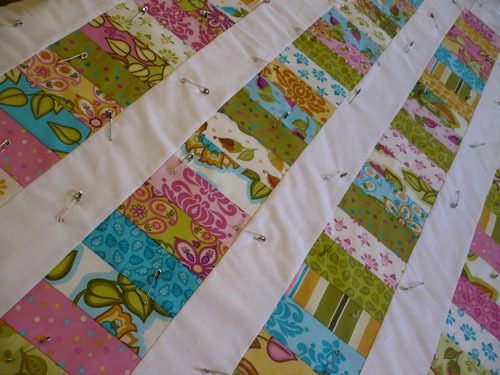 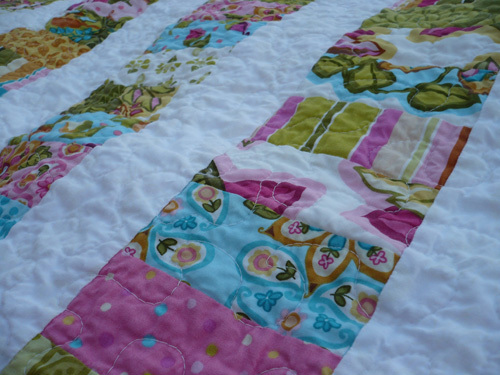 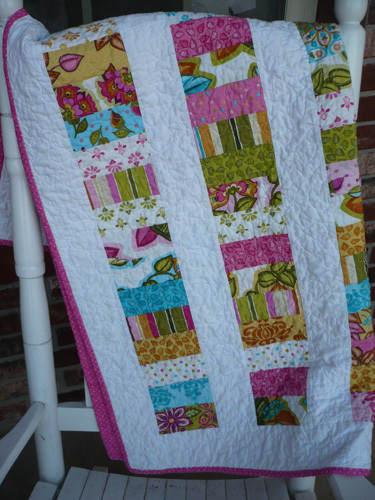 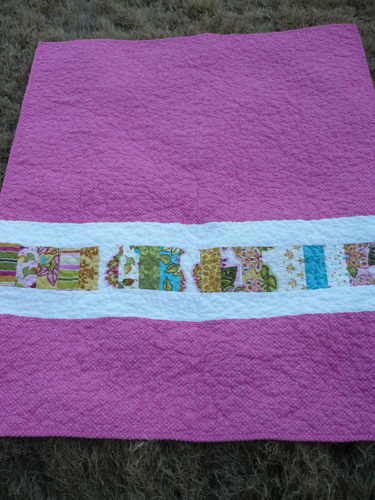 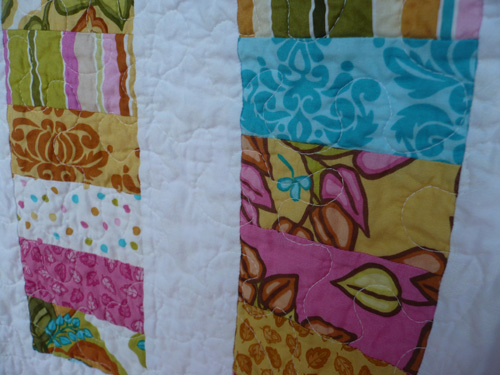 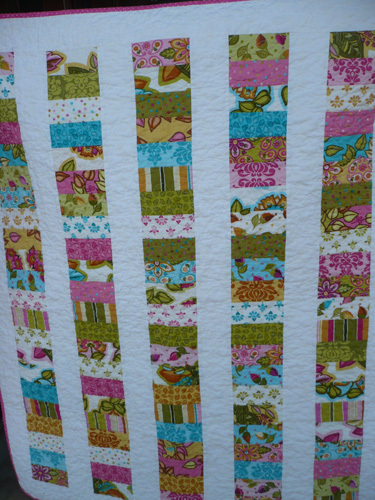 I absolutely love the bright colors, and it makes for the perfect baby quilt. 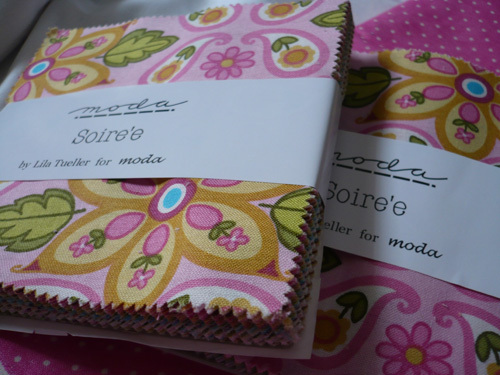 The fabric is Soiree by Lila Tueller for Moda, and I used the Stacked Coins pattern from Moda Bakeshop (I changed up the backing design just a bit). 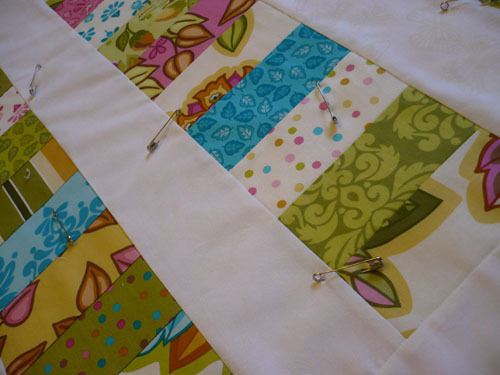 The post wash measurement is 38 x 46. 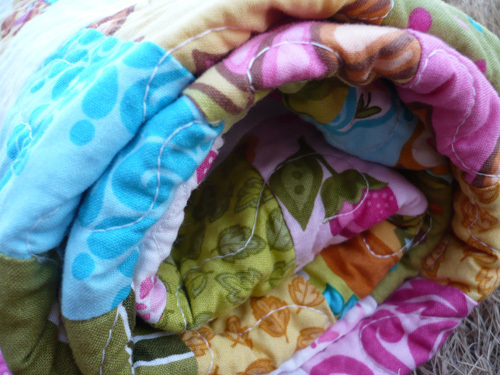 I love this fabric so much, and luckily I have extra charm packs of it, so I just may have to make a larger one for myself!